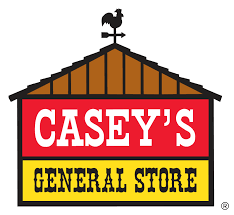 With a vast majority of our stores situated in rural settings in towns across the Midwest, Casey’s values are rooted in a sense of belonging to these communities. Our stores are often the center of the community’s activities. Customers regularly enter our stores for directions or information about an event in town. Casey’s believes in giving back to our communities and other meaningful causes through contributions. Our major fundraisers in store are for St. Jude’s Research Hospital, the Muscular Dystrophy Association, Hope for the Warriors and Children’s Miracle Network Hospitals. Casey’s belongs to the Chamber of Commerce in many of the towns in which we are located, and we offer financial support to numerous schools and community events, as well as community betterment projects. It is our hope that Casey’s makes the daily lives of our customers and their communities better. Our customers give us a sense of purpose in our work, and can be the basis for lasting relationships in support of the communities we serve. True joy comes through helping others.